For all the cinema and movie lovers, take note: the annual Brazilian film festival brings to the screen a diversity of stories, styles, humans and lifestyles. The movies screened are of various lengths, budgets, a wide range of topics and genres. From documentaries to musicals, to suspense, drama, and biographies, the film festival is sure to cater to everyone’s interests. Make sure to check out the program for the day’s movies! Is there a mathematical principle behind all beauty, whether natural or man-made? Or is the golden ratio just a myth? This exhibition tackles those questions by tracing the history of the golden ratio and its development in art and examining its prevalence in social media today in a collection of over 250 objects from architecture, art, design, nature and music. Also, a sense of virtual reality is created by the interactive aspect of the exhibition, as the audience get to judge for themselves whether certain objects truly have a golden ratio. Using photography and video installations, Andréas Lang uncovers forgotten places in Cameroon and Congo as he reflects on Germany’s colonial history in Africa. His compositions blur the line between reality and illusion, as he not only focuses on tangible archaeology and geography, but on imagined ones also. The installations show the significance of historical occurrences for shaping the present and how people adapt to extraordinary circumstances throughout history. Commemorating the 72nd anniversary of the liberation of the captives of Auschwitz, this exhibition gives the audience a glimpse into the memories, thoughts and reflections of the survivors. Their hopes and fears for the future are voiced, memories shared and the past reflected upon. There are many ways to take a political stand against the growth of right-wing conservative politics. Art and cultural productions can be a way towards social and political change. This series of panel talks and discussions urges individuals from various fields, such as the arts, politics, and sociology, to develop practical strategies to counter the right-wing political influence on art and cultural productions. 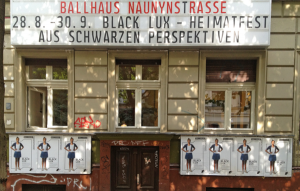 Consisting of photographs the visual artist and filmmaker Ammar Al-Beik found in his hometown Damascus, this exhibition fuses his war-torn country and his newly found home in Berlin. His works and this collection deal with themes of identity, autobiography, loss of innocence and vulnerability. What is a better way to spend a cold Sunday than strolling through stalls of authentic vintage wares as you hunt small treasures whose existence would have never crossed your mind? 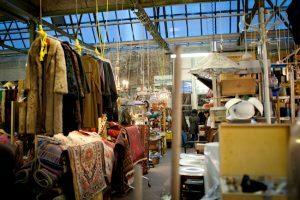 Treptower indoor flea market is the ideal spot for all your quirky shopping desires and you get to stay warm!